Author: Jonathan Ingleby, co-editor of Encounters. 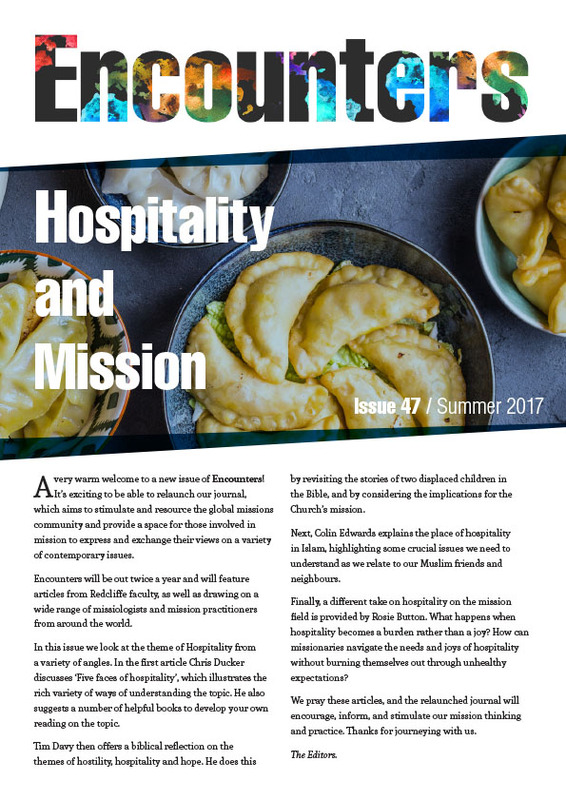 If you have read this far you will realise that this edition of Encounters largely attempts to reproduce the papers given at the conference on Asian mission held recently at Redcliffe College under the auspices of the College, CMS and OMF. I was present at all the sessions (except when there were two going on at the same time!) and was asked to give a brief reflection as part of the final session. I notice that each of my paragraphs makes the same point. I leave the reader to work out what that is! My first response is to say how helpful it was to have Patrick’s clear and insightful account of the situation in China, a masterful mixture of appropriate statistics, historical and theological analysis, and incidents and illustrations from his own experience. (I am referring here to Dr Patrick Fung’s Redcliffe Lecture, China and Beyond: Issues, Trends and Opportunities – see Article 1 in this edition.) It was the combination of elements that I found particularly helpful. Statistics alone can be boring or misleading. Historical and theological analyses are necessary but are wonderfully enlivened and validated by a contributor who can speak from relevant and recent personal experience. With regard to the general topic of the consultation – the partnership between the growing Asian missionary movements and the churches and mission agencies in the West – I notice that one of our stated purposes was to share ‘positive models and stories’ and we have done this. But I do also think that this conference may have prompted us to realise that we are basically short on research and reflection – the patient, careful scholarly examination of key topics such as partnership. Of course, our speakers have set us on our way, but partnership throws up many issues: the continuing role of ethnic particularity in our planning, the challenge of multicultural teams, the need for better conflict resolution, a better understanding of the impact of economic globalisation and so on. The briefing notes ask us about the possibility of ‘an annual gathering or ongoing network’, suggesting that this might be necessary. But that is my point. Further study needs to be facilitated, it needs ongoing commitment and effort, and perhaps we are not ready for that.